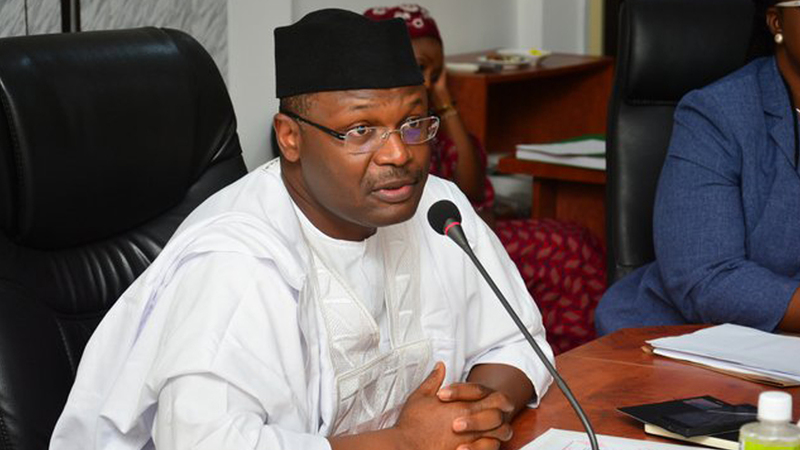 The Court of Appeal, Enugu division, has ordered a personal service on the chairman of the Independent National Electoral Commission (INEC), Prof. Mahmood Yakubu , in a suit asking it to commit him (Yakubu) to prison over alleged refusal to conduct the Anambra Central rerun senatorial election, as directed by the court in 2015. A personal service is the actual delivery of process to the individual to whom it is directed or to someone authorised to receive it on his or her behalf. The court presided over by Justice J Ogunwumiju gave the directive in the suit brought before it by Mr. Chris Nkem Ekweozor, a lawyer and senatorial candidate of Mega Progressives People Party (MPPP) in the 2015 Anambra Central senatorial election, against INEC and its chairman. At the hearing yesterday, the court also ordered publication of the proof of service in a national daily, while adjourning the matter to January 25, 2018 for further hearing. Ekweozor said that he had written and served several notices of the committal forms 48 and 49 but had not received any response, adding that the commission had denied his people representation at the Senate. But counsels for INEC, Alhassan Umar and Amaka Agbo Anike, argued that the commission had earlier fixed March 2016 for the rerun but was halted by the appeal of the Peoples Democratic Party (PDP) pending at the Federal High Court, Abuja. They said that the appeal was on why the party should be disqualified from the election, adding that the matter was on October 18, 2017 heard and adjourned for ruling. They added that delay in conduct of the rerun was to clear legal hitches. Meanwhile, the PDP candidate in the November 18 Anambra governorship election, Mr. Oseloka H. Obaze, has decried the bad condition of roads in the state. Obaze, who spoke in Onitsha yesterday during flag-off of a rally by the Road Transport Employers’ Association of Nigeria (RTEAN), said Anambra road users deserve better.